The challenge: explore one of the oldest cities in Europe and give me 5 more reasons why you loved it. The city dates back to 7th century and was the capital of Poland during the country’s greatest era. 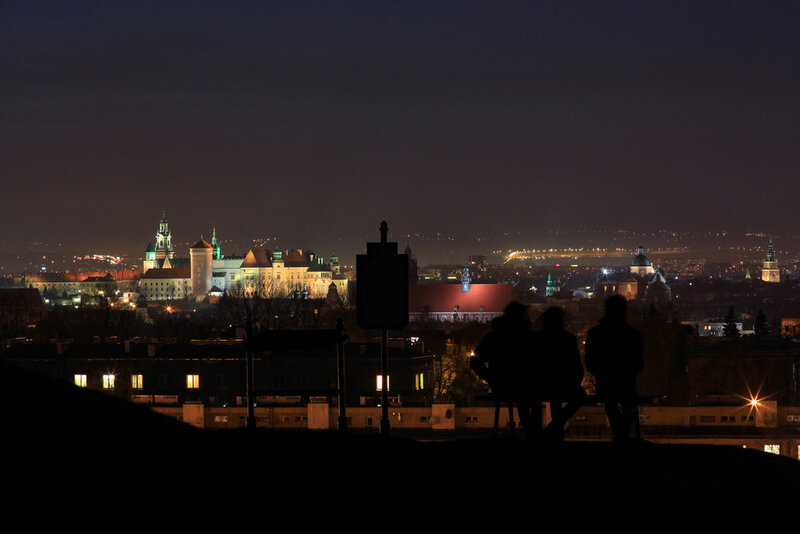 Even if you come here knowing nothing about Polish history, you can get a pretty good understanding of it after visiting the must-sees, like Wawel Castle, St. Mary’s Basilica and Rynek Underground. Centuries went by after those glorious times, and nearly 80 years ago Krakow met its worst moments in the face of the five-year Nazi occupation. It was in those dark days when the well-known heroics of Oscar Schindler came to the fore. 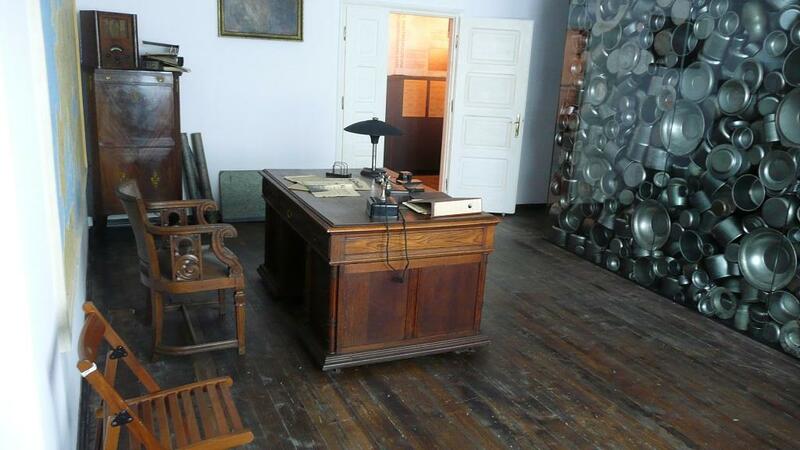 The German industrialist managed to save thousands of Jews from Krakow by employing them in his enamel factory, which has been turned into museum and is now open to visitors. Schindler’s story inspired the 1982 prize-winning novel Schindler’s Ark, on which the highly successful movie Schindler’s List was later based. 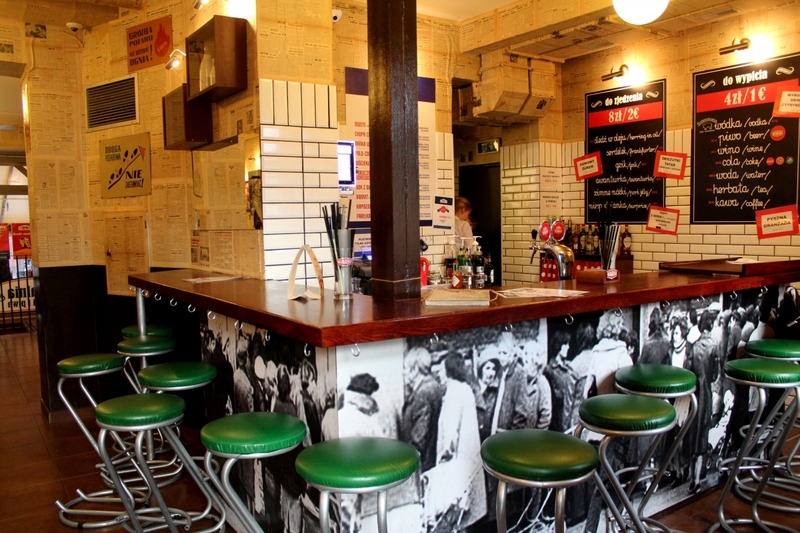 … because they are all trendy, vibrant and full of everything you could want from a café. A morning apple pie and a cup of tea on an old school desk looking out over a small cobbled street in Nowa Provincja café makes for a nice start to the day. I have to open brackets here to explain why you should drink tea instead of coffee. It’s because this is how most Poles choose to start their day and, of course, you want your Krakow experience to be as local as possible. Seriously, they drink a lot of tea – in the morning, before meals, after meals, before beer, after beer and pretty much all day round, or at least until it is acceptable to drink the country’s other best-loved drink: wodka. If you want to get stuck into the wodka, Krakow offers you a lot of options to choose from – Pijalnia Wódki i Piwa, Tram Bar and Forum Przestrzenie, just to name a few. And just because you need to put some food in your body, as well, you might want to stop by Dynia Resto Bar, whose name translates as “Pumpkin”. When you visit this pumpkin-themed restaurant, prepare to be blown away by the number of meals that can be made from the starchy orange vegetable and how delicious they can actually be. As a bonus, you’ll enjoy the cool setting and the chill atmosphere, especially in the summer garden. (No, it is not the garden they grow the pumpkins in, if you are wondering). Perhaps you’d prefer some street food from Judah Square Food Truck Park. Don’t let the label “street food” fool you – a great variety of food can be found here and you can actually spend about half an hour making the agonizing decision between your love of sushi and your lust for burgers. (Pro tip: Life is short, get them both). … or “The Fountain of Youth” as I overheard one visibly 50-something lady in the aforementioned café name it, because all the 20-something backpackers, as well as local college students, made her remember her younger days and inspired her to bring more energy to her life now. Shout-out to you, unknown German lady, for not complaining about the loud, drunk crowds filling the streets of Krakow after dark, because the city’s nightlife can get pretty wild even for a 20-year-old. Fortunately, those same young people fill the daytime streets as well – this time acceptably sober – and create the energetic, youthful vibe of the city. In the center of the Cloth Hall you can see an iron knife hanging from the ceiling. To explain what it’s doing there I have to first tell you the legend of how St Mary’s Church was built. In 13th century, two brothers were hired to build the two towers of the church. The younger one saw that his brother was doing better and his tower was getting taller. (You can notice nowadays that one of the towers is taller than the other). 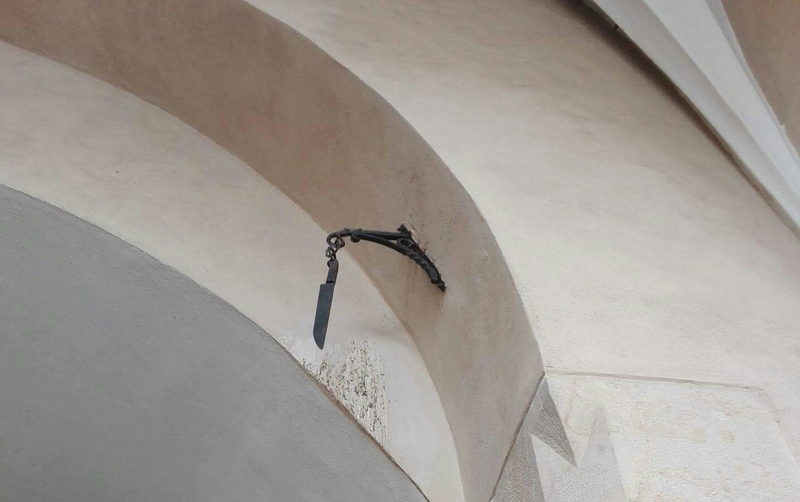 Envy took over him – he killed his brother, and later killed himself, with the same knife that now dangles on a chain over the thousands of tourists who visit the hall every day. Some 60 kilometers (37 miles) from Krakow is the most famous Nazi death camp: Auschwitz. Though “an amazing day trip” is surely the last thing you will want to call the experience of walking through the camp, it is one of those places that everyone should visit once, so that humanity might remember never to make the same mistakes again. About 14 kilometers (8 miles) southeast of Krakow you’ll find the salty underground world of Wieliczka Salt Mine, where you’ll be happy to trade the light of the surface world for some time in an amazing realm some 300 meters underground. The mine’s salt has some health-giving properties, while the cavern’s beauty is out of this world, with rock-salt chapels, sculptures and chandeliers that are truly spectacular to behold. You might be surprised to know that, over the years, bungee jumpers, windsurfers and dancers have performed their craft in Wieliczka Salt Mine. Fun fact: the was one of the first 12 sites to be added to UNESCO’s World Cultural and Natural Heritage Lists in 1978. 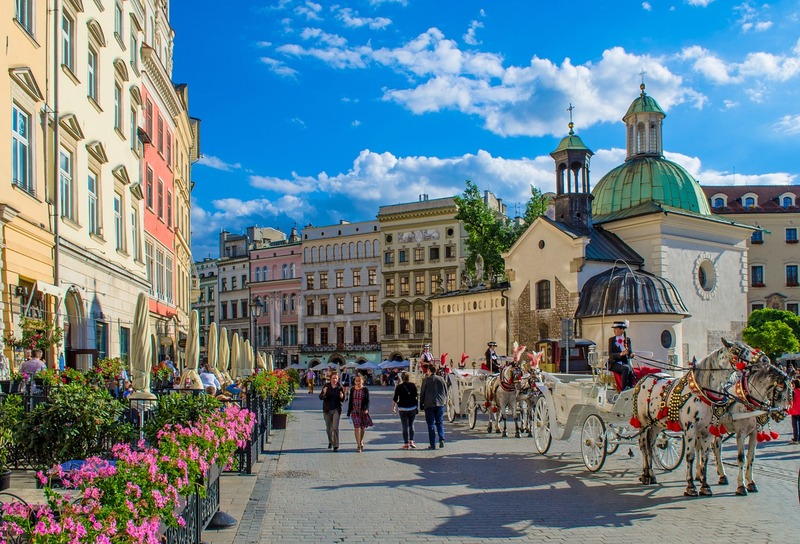 Zakopane – Poland’s winter capital – which also happens to be great during summer – is 84 kilometers (52 miles) away from Krakow in the Tatra Mountains. During the summer months, skiing and snowboarding can be substituted for cycling and quad-bike-riding, hiking and horse-riding. Those with a taste for architecture will appreciate the city’s distinct aesthetic, known as Zakopane or Witkiewicz style.